In 1948, brothers-in-law Jack Schaevitz and Lou Stein opened a small mobile food cart at James Connally Air Force Base. 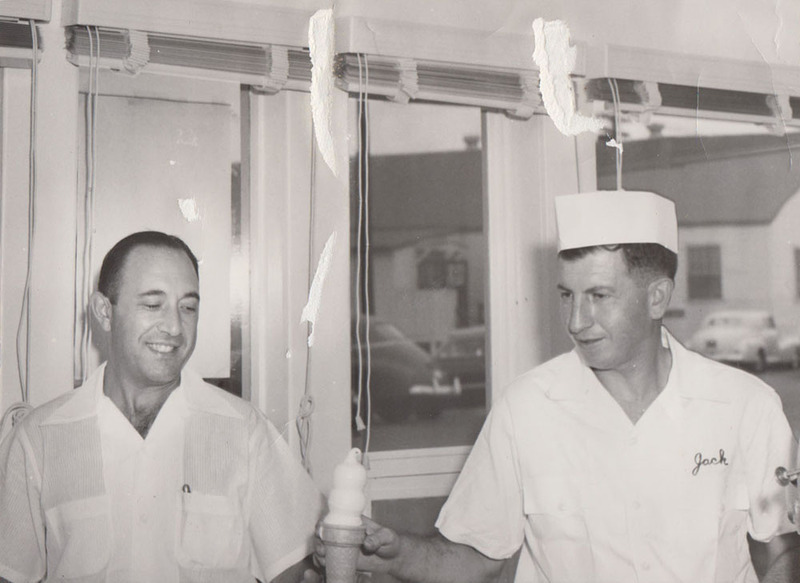 The two became so successful selling burgers and frozen custard to military men that they opened a small restaurant on the Waco traffic circle the following summer. The two brothers fought fiercely over choosing a name for their new business but eventually settled upon “Health Camp,” the words stamped on the eggs that Jack's dad used to sell at his dairy in Youngstown, Ohio. 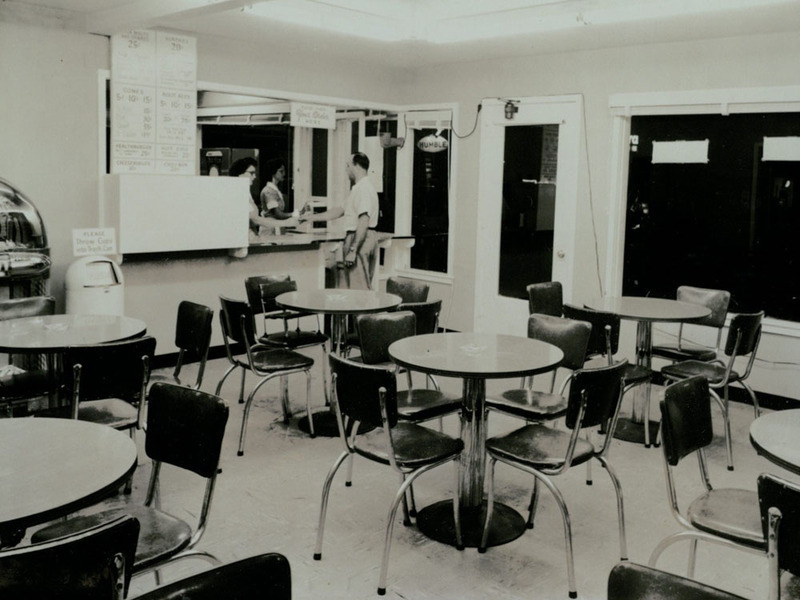 Initially, the restaurant on the circle consisted of just a small kitchen with a walk-up window from which customers could place their orders. Before business shifted further out into the suburbs, restaurants on the circle such as Health Camp were regular afternoon gathering places for Wacoans. 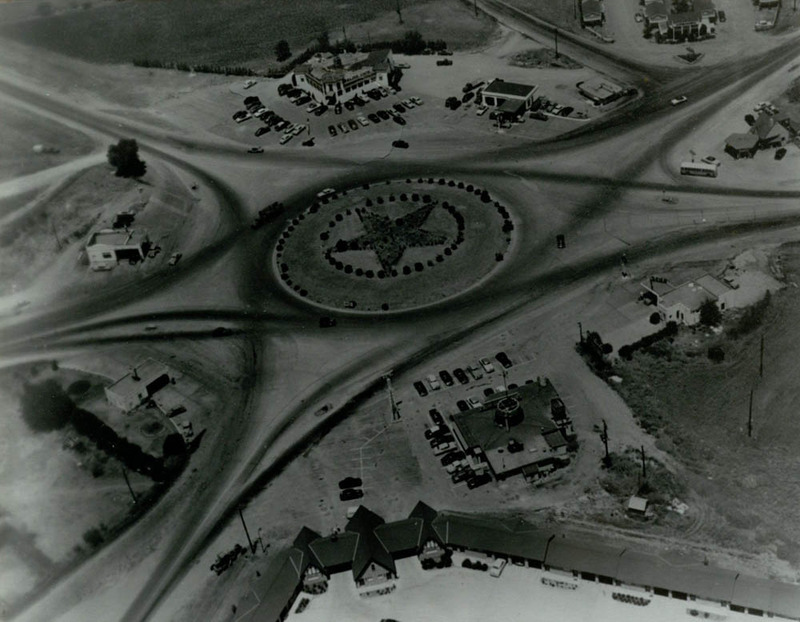 Additionally, the restaurant’s location on the traffic circle ensured that it became a stopping point for travelers between Dallas and Austin. 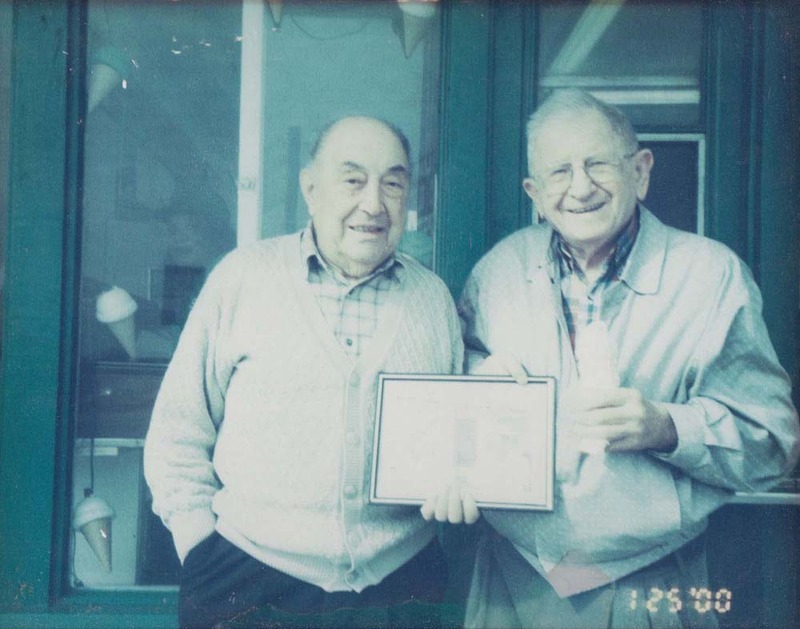 Schaevitz took pride in associating his business with the local community. He attended the Baylor Homecoming Parade each year until his retirement in 1989, and subsequently lined the walls of his restaurant with pictures he took at the celebration. 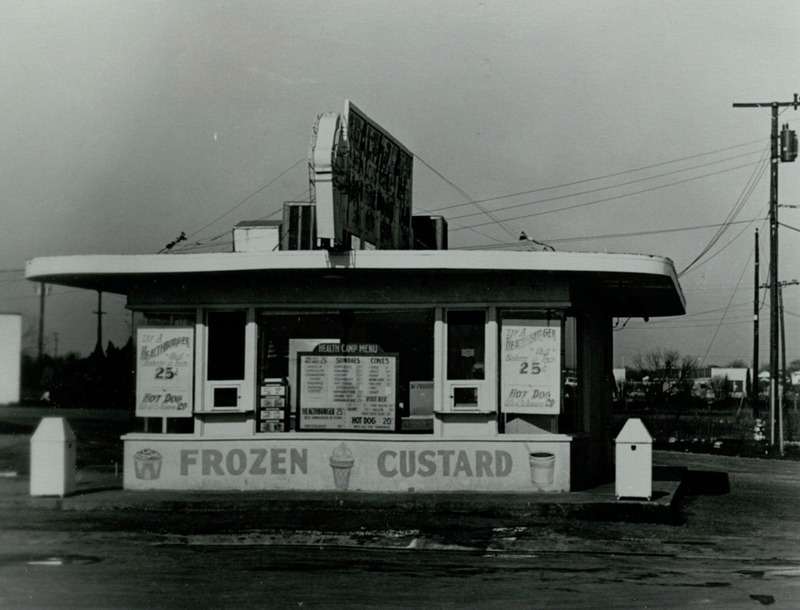 Although the construction of IH-35 in the early 1960s decreased the number of travellers passing through the Waco traffic circle and eating at the restaurant, Schaevitz found that business continued to thrive due to the patronage of Baylor students. After working seven days a week for forty years, Jack Schaevitz retired at the age of 78 in 1989. He sold Health Camp to well-known restaurateur David Tinsley and his manager, Sammy Citrano. Tinsley also purchased the neighboring Elite Café (now Magnolia Table). 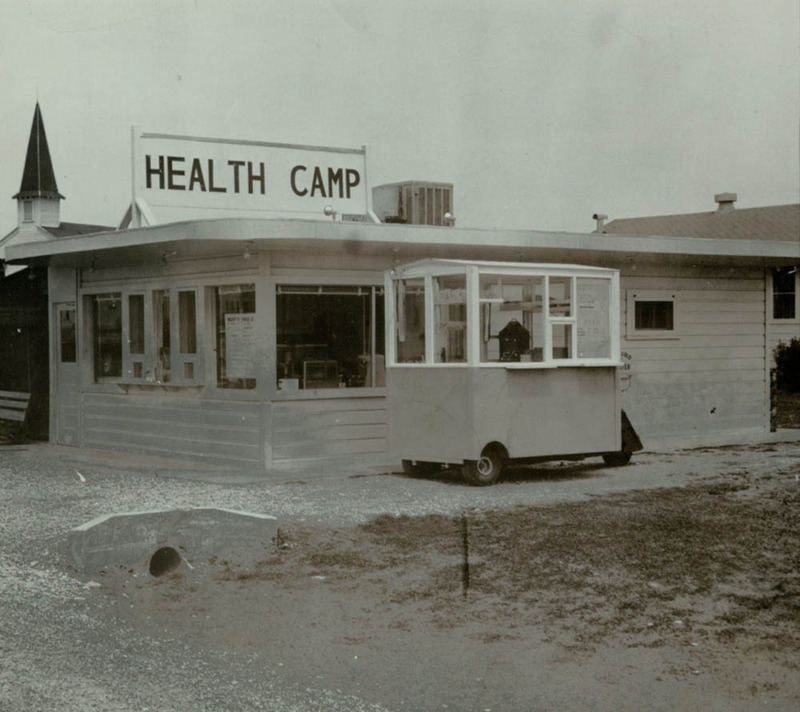 Little has changed at Health Camp since its opening in the years following World War II. The restaurant continues to serve burgers, custard, and homemade onion rings on the restaurant’s original stainless steel countertops, and many still order their burgers at the walk-up window. A jukebox stands in the corner of the dining room, and photographs and newspapers displaying local history line the walls. 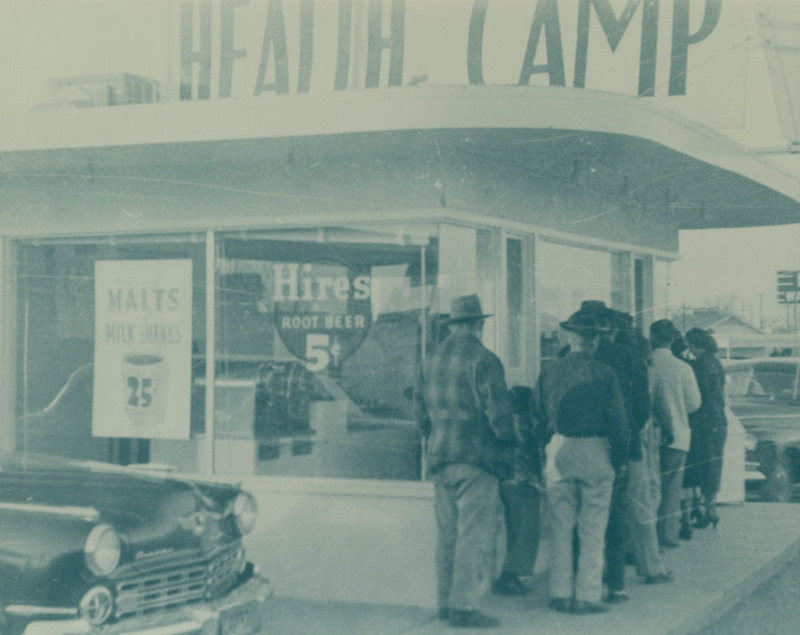 Today, customers continue to dine at Health Camp in order to revisit old memories, enjoy the local community, and participate in a small part of Waco’s history. 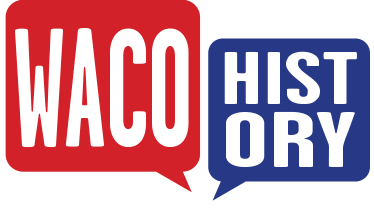 Amanda Sawyer, “Health Camp,” Waco History, accessed April 19, 2019, https://wacohistory.org/items/show/59. Nelson, Alan. “Keeping the Flame.” Waco Tribune-Herald. July 9, 1989.